Make the most of this popular day tour from Auckland with return coach travel to Paihia, including a spectacular dolphin watching cruise in the sheltered waters of the Bay of Islands. Our experienced local skippers will guide you through the beautiful clear waters aboard Dolphin Seeker, our purpose built dolphin and whale watching catamaran. Enjoy the large outdoor viewing decks as we cruise past the islands of the Bay. Keep a look out for common and bottlenose dolphins, whales and other marine life as we get you up close to the action from the comfort of Dolphin Seeker. Our catamaran is licensed by DOC (the Department of Conservation) for dolphin viewing. Enjoy the views as you cruise past the Cape Brett Lighthouse, before arriving at the majestic Hole in the Rock – hold your breath as the skipper navigates through the narrow space and admire the rock walls which soar above you. Take in the Grand Cathedral Cave before heading back into the inner islands of the Bay. Optional Extra: Waitangi Treaty Grounds – Add a guided tour of the historic Waitangi Treaty Grounds where in 1840, the Treaty of Waitangi was signed between Maori and the British Crown. Explore the original Treaty House, one of New Zealand’s oldest and most visited historic homes and the Te Whare Runanga, a fully carved Maori meeting house, which is representative of all Iwi (regional tribes) in New Zealand. 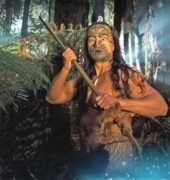 The Waitangi Treay Grounds offer a truly unique insight into New Zealand’s early history. Lunch options available for this tour – A picnic lunch is available on this tour for including a hot or cold non alcoholic drink. Lunches must be pre booked by 6pm the day before travel. a complimentary pick-up and drop offer service is provided from inner city hotels. Please check with your NZ-Tourism consultant for hotel pick-up details.